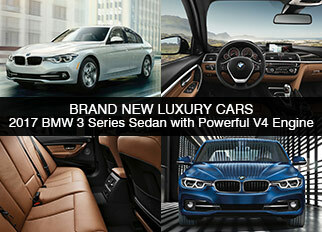 Brand new luxury cars are always appealing to people and make them want to have a second look. The 2017 BMW 3 Series is a best-selling BMW series and it still continues to standout in the global car market by its superior design, style and performance. Many of the brand new luxury cars are fitted with powerful engines, so keeping up with the trend, BMW offers three turbocharged engine options with the 3 Series sedan that not only boosts the performance, but it also gives a smooth drive. The design of the vehicle is very appealing and has a traditional BMW look. Here is a review of the new 2017 BMW 3 Series sedan with a closer look at its design, performance, technologies and its price in the UAE. 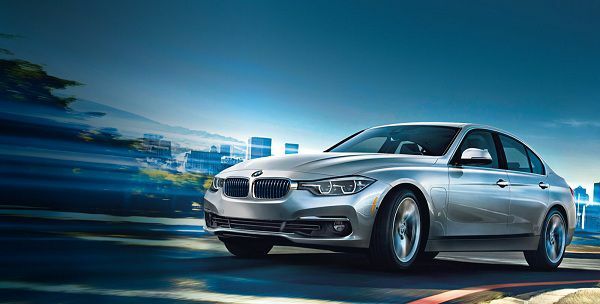 The 2017 BMW 3 Series is one of the most luxurious cars and it has a traditional BMW design that mesmerizes people. The exterior of the vehicle is simply fabulous and it has an amazing interior that gives a relaxing and comfortable ride to its passengers. The exterior of the vehicle is simply outclass and it has a sportier look, the design of the vehicle is a classic three-design and the wheel of vehicle enhances the traditional look of the vehicle. The 2017 BMW 3 series has short overhangs. Long wheelbase, long bonnet and it have a set-back passenger compartment. At the front of the vehicle, a signature grill of BMW is nicely fitted and it gives a real BMW customized look to the vehicle. The 2017 BMW 3 series is fitted with impressive design, that only enhances the beauty of the vehicle, but it also gives an impressive look to the vehicle. The vehicle is fitted with LED headlights and daytime running lights. 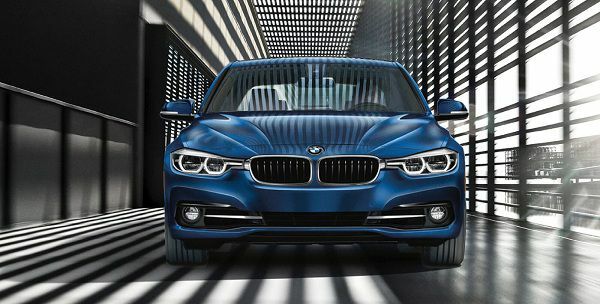 2017 BMW 3 series is equipped with parking lights, indicators are powered by LED technology. It has high beam and low beam lights that are powered with 10 high power LEDs. Adaptive LED headlights are also the part of 2017 BMW 3 series and these lights are automatically adjusted to the driving speed and it dynamically illuminating the road ahead. At night the moveable adaptive LED headlights help the driver to see far away to the curves until the driver properly moved the steering wheel. On the other hand, the cornering lights automatically activated as soon as the steering wheel is turned or the turn signal indicator switched on. If the vehicle is standing still on the road than the Adaptive headlights activate the optimum illumination to ensure the safety of the riders. 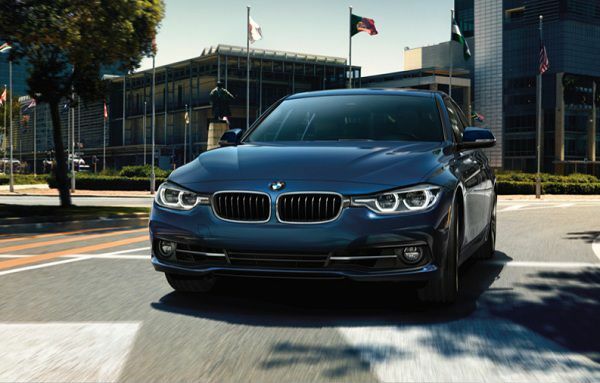 2017 BMW 3 series is fitted with selective beams that allow the driver to use the high beam lights and to use optimal visual conditions. The system will automatically detect the presence of other vehicles and it automatically adjusts the high-beam lights to avoid any accident or collision. The vehicle is also fitted with LED fog lights that allow the driver to see clearly at night and in foggy weather conditions. Rear lights with LED technology are also the part of the vehicle and the rear lights are featured with the recognizable BMW ‘L’ shape that gives a traditional look to the vehicle and makes it a recognizable vehicle even at night. The 2017 BMW 3 series has fast acting indicators and LED brake lights that help the vehicle to be safer and secure. The wheels of BMW always gives a traditional look of BMW to its all vehicle and the BMW 3 series is equipped with 19’’ light alloy wheels and each and every tyre have a unique sporty character. 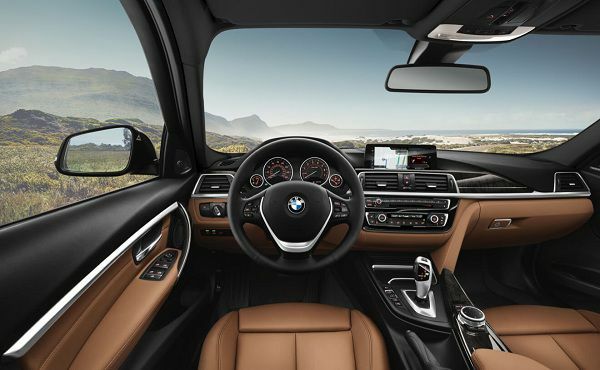 The interior of luxury cars are always mesmerized people and the interior 2017 BMW 3 series is simply an eye-catcher. 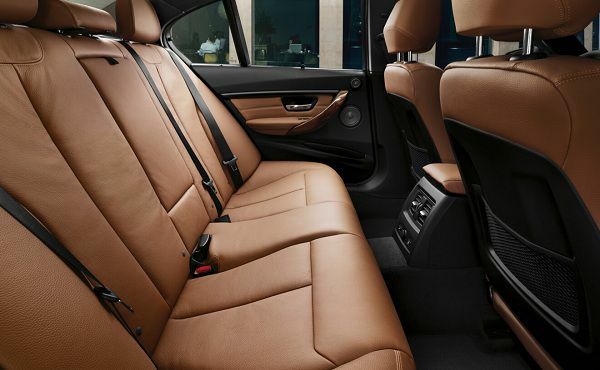 BMW used the high quality and finest material in the vehicle to make it more luxurious, the seats of this are very comfortable that helps the riders to get relaxed. The seats are wrapped with special Leather named as ‘Dakota’ Oyster. The BMW also gives an option of sports seats. The seats are fitted with electric seat adjustment system. The driver seat is 6-ways that includes manual recline, height adjustment, and fore after movement. On the other hand, the passenger seats are 6-way power seats that includes manual recline, height adjustment and fore after movement. The interior is furnished with aluminum and the whole cabin is finished with a black-high gloss that is extended to the inner side of all-four doors as well. 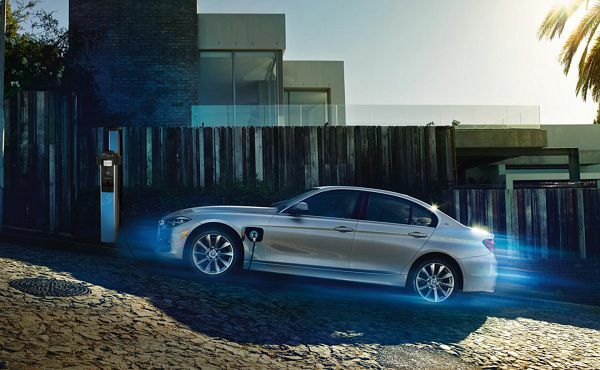 The BMW gives an option of light packages that include the ambient light. The lights do not enhance the beauty of the vehicle and it makes the interior more stylish. It also helps the riders to see clearly inside the cabin at night. The lights are fitted at front and rear foot rests and cup holders. The best luxury brand car 2017 BMW 3 series is fitted with a powerful engine and it gives 3 engine options. It has 1.5-Litre 3 Cylinder turbocharged engine that produces 134hp and 220Nm of torque. Its estimated fuel efficiency is 23mpg in the city and 35mpg on the highway. The combined fuel efficiency is 28mpg. The 2017 BMW 3 series accelerates 0-100kph in 8.9 seconds and its top speed is 210 km/h. The other engine option has 2.0-Litre 4 Cylinder turbocharged engine that produces 181hp and 290Nm of torque. Its estimated fuel efficiency is 21mpg in the city and 32mpg on the highway. The combined estimated fuel efficiency is 25mpg. It accelerates 0-100khp in 7.6 seconds and the top speed of this vehicle 225km/h. The third engine option has 3.0-Litre 4 Cylinder turbocharged engine that produces 322hp and 450Nm of torque. Its estimated fuel efficiency is 31mpg in the city and 43mpg on the highway. The combined estimated fuel efficiency is 36mpg. It accelerates 0-100kph in 5.1 seconds. The top speed of this vehicle is 250km/h. In one of the trim level, the 2017 BMW 3 series gives an option of an electric motor with BMW twin power Turbo combines. The motor engine gives an efficient driving dynamics and with a purely electric mode it gives up to 40 kilometers drive. The 2017 BMW 3 series is one of the luxury cars that is why BMW pays a special attention to the comfort and convenience features of the vehicle. The comfort and convenience feature of this vehicle includes a contactless opening of the tailgate that allows the driver to open the tailgate without using the keys or without puling the button from the interior of the vehicle. The vehicle is fitted with Innovative Comfort Access System that allows the driver to open the tailgate through an eye-contact and the targeted wave of the front foot beneath the rear bumper opens the tailgate via a sensor. The best part is the sensor only open the tailgate if the system detects the presence of the key, if the system remains unable to detect the keys then the sensor will not allow the tailgate to open. The vehicle is equipped with massive storage capability, it gives 480 liters of storage capability and you can enhance the cargo capacity by folding the rear seats. The price of 2017 BMW 3 Series 316i in the UAE is starting from AED 132,000 to AED 145,000. The price of 2017 BMW 3 Series 320i in the UAE is starting from AED 163,000 to AED 175,000. The price of 2017 BMW 3 Series 328i in the UAE is starting from AED 182,000 to AED 199,000. The price of 2017 BMW 3 Series 340i in the UAE is starting from AED 244,000 to AED 255,000. The 2017 BMW 3 Series is available in the UAE with its four trim levels. Brand new luxury cars are always expensive and this vehicle definitely one of them, but the people who can afford this vehicle can enjoy the amazing car with all of its luxurious features.